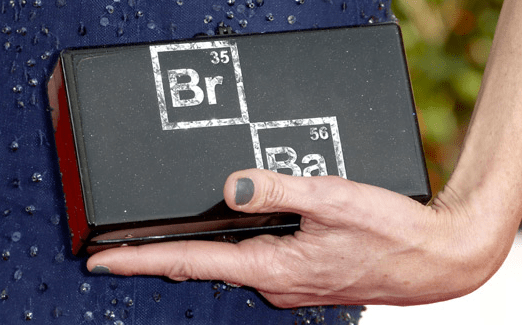 This past weekend, the SAG awards had the spotlight stolen…by none other than Anna Gunn’s Breaking Bad clutch. Edie Parker created a bag showcasing BB’s periodic table signs. Gunn was nominated for an award, and Parker stated that she just wanted to make something memorable for Gunn in celebration of that. While I will admit that I did not watch the SAG awards, my twitter was covered in “Where can we get that bag? !” Unfortunately the bag is not for sale anywhere, although other Edie Parker creations are available on Net-A-Porter. Maybe because of the wild hype that the clutch created, it will be released as a limited edition item sometime in the future? I’m envisioning Leandra Medine toting this around New York.